I had originally not planned on writing anything because lmao blogging and also because I was content to keep my being きもい on twitter. However, I’d learned that not only was it Oreki’s birthday today, but it’s also the release date for the PC version of Clannad, making this some sort of anime holy day for me. Even spookier is that this year marks Clannad’s 10th anniversary, a fact that I only know because I found and bought the 10th anniversary artbook while I was in Tokyo this past summer. It might seem really trite nowadays (some might argue that it already was when it aired), but Clannad continues to hold a special place in my heart and is still one of my favourite anime and visual novels. Even back then knowing almost nothing about visual novels, it was really easy to see all of the different pieces glued together into a single coherent story. Where I think Clannad flops is if you think of Clannad as the story of Tomoya and Nagisa getting together in high school. It’s nice, but it’s pretty typical. What I consider Clannad to be and what interested me the most about it is Tomoya’s story beyond his high school life and romance and where he ends up as a person. But maybe this speaks more about my endearment for moe guy characters than how good Clannad is. I think that’s also why I like Oreki so much (I mean other than being moe). Hyouka is even less about Oreki’s love life and much more about how he changes between episodes 1 and 22. Of course, a lot of that has to do with Chitanda (a lot like how Tomoya changes because of Nagisa). Of course, Oreki’s not done by the time episode 22 rolls around and the way the show ends makes that pretty clear. 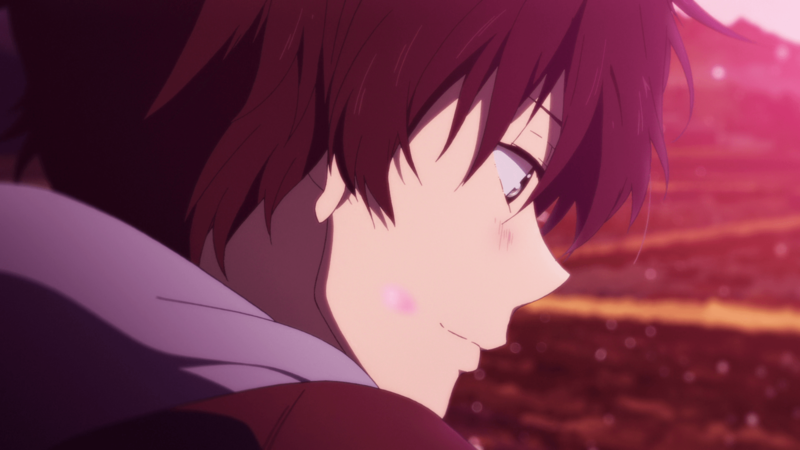 Now back to waiting for a new KyoAni show starring moe boy voiced by Nakamura Yuuichi. This entry was posted in Anime and tagged Anime, clannad, hyouka, oreki houtarou, Visual novels, 折木ちゃん萌え by blkmage. Bookmark the permalink.